Titanium Investment Casting – Ferralloy Inc.
Investment casting is effective at producing complex and detailed parts that other methods cannot. There are no joints or flash lines because the part is made as one whole piece. A variety of metal alloys may be used in the investment casting process, including titanium, aluminum, copper, and stainless steel which are some of the most common materials. Because a wax model is created in the exact size and shape as the part, investment casting, or wax casting, allows for high dimensional accuracy. Titanium investment casting is expensive compared to other methods like die casting although it has lower equipment costs and requires less finishing. Investment casting can be done by hand in single or small batches or can be semi-automated and produce hundreds of parts at once. Castings can be as small as fractions of an inch thick to weighing 1,000 pounds though most parts are 15 pounds or less. Titanium castings are very strong and lightweight and are used for turbocharger components, industrial tools, and instruments and other applications in the defense, aerospace, transportation, power generation, marine, and medical industries. The process of investment casting begins with a wax replica of the part that has been hand or machine carved or produced through injection molding. The wax pattern is attached to a sprue, or wax rod. Depending on the size and shape of the part, several hundred patterns may be attached to the same sprue resulting in an assembly called a tree. The tree is dipped in a ceramic slurry called the investment. It is dipped multiple times in mixtures that are increasingly coarse. When the investment is thick enough on the wax pattern, it is left to dry. Another method is to place the tree in a flask and pour investment into the container until the tree is completely covered. The use of a low-temperature oven or a vacuum can speed the process. Once dry, the tree is placed in an oven or furnace upside down to allow the melting wax to drip out. During the burnout phase, the investment shell is left to heat even more in order to completely eliminate any residual moisture or wax. Molten titanium is poured in the space and may be drawn in using a vacuum, positive air pressure, or centrifugal casting procedures. 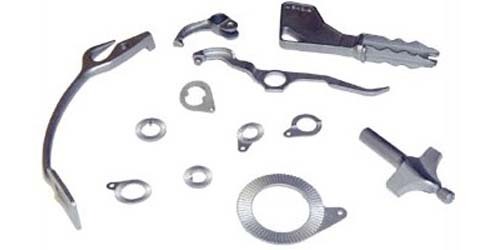 Once the titanium part is cooled and hardened, the investment is removed through a variety of techniques including vibrations, hammers, a dissolving agent, or media-blasting. 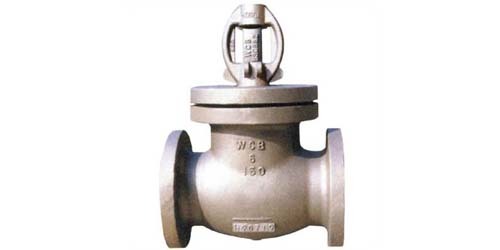 Titanium Investment Casting Titanium investment casting is the manufacturing process that produces parts through the metallic replication of wax models. The resulting titanium parts have a very smooth finish that requires little finishing after the process.